Welcome to Sports and Sports International - Manufacturer & Exporter of Sports Goods. We are an ISO 9001:2008 certified company, established in 1996, at Meerut. We have spread our wings to Australia, Africa & Europe. Large product line, customized solutions & Industry leading prices make us the preferred supplier in the industry. We offer a huge gamut of Boxing Equipments, Carrom Accessories & Sports Miniatures. Our Sports Bags,Track & Field Equipments are best in the industry amongst others. 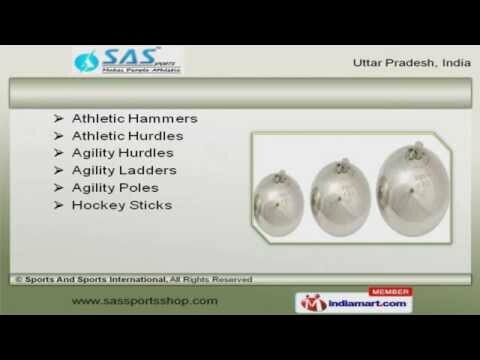 Athletic Hammers, Hurdles & Hockey Sticks offered by us are widely appreciated in the market. Our Hockey Balls, Chess Games & Table Tennis are some of our best selling products. We also provide Referee Equipments, Tactic Boards & Soccer Balls that are available at affordable prices. Along with that we offer Cricket Bats, Accessories & Athletic Shot Puts that areextremely reliable.